Starting immediately, on a trial basis at first, we will be extending our after hours support line to 24 hours, seven days a week. Now, you will be able to call and speak with a support technician whenever you are having a problem, not just during the old, limited support hours. This extended support line is still Tier 1 support only, and escalations will still be handled the same way (next-day response, except for holidays), but we believe this should help our subscribers get assistance on their own schedules, not just on ours. For quite some time, Western Broadband has offered in-house evening and weekend technical support. The way that worked was we had an experienced team member (Craig) who was able to answer phones 7 days a week, during every weekday evening and on weekends during the day, with relatively few breaks for holidays, vacations, or family events. He is now in a position where he is able to step down from this job and spend more time with his family. We’ll miss him, but we understand this is a good thing for him. Of course, this leads, inevitably, to the question of how we will be handling technical support on the weekends and evenings. Hiring a new person or people to take over from Craig was considered, but it is simply not feasible. The costs of hiring and training, not to mention the time period during which any new employee would take to get a handle on everything, makes that option either very expensive (and those costs would have to be passed on to our subscribers), very inefficient, or both. We decided our best option was to contract out our extended hours technical support needs to a new, US-based, remote office team. They have staff who already handle this sort of thing for other Internet Service Providers across the nation, and they are well experienced in solving the same sort of problems we already solve on a day-to-day basis. We believe this is the best way to ensure our subscribers’ needs are met without having to raise our rates. For now, our support line hours will remain unchanged. The new service will operate M-F, 6pm to 10pm, 9 am to 5 pm on Saturdays, and noon to 5 pm on Sundays, just like Craig did. We are still not certain on how each holiday will affect the support schedule, but we can notify our subscribers of those relevant details here, in this blog. Our network monitoring will not be affected. The same staff who currently monitor all the major aspects of our network, and are automatically notified when there are any problems, will continue to do this. Repairs to equipment in our datacenter or at the towers will still be handled the way they always have been, and with the same emphasis on minimizing our subscribers’ down-time. We will have daily, in-house, Tier 2 escalation management. In other words, if you call in on Friday night with a problem that is outside of the scope of the evening team, you will be contacted the next day by one of our in-house personnel for additional troubleshooting, and at that time, if we need to schedule a service call, we can do that. IMPORTANT: This new line is intended to be used only for technical support calls. Their staff will not be able to provide in-depth information to potential customers, so we will not be passing sales calls onto them. By the same token, they cannot answer questions about billing, or resolve billing disputes, and they will not be able to take payments or handle other, non-technical, customer support issues. Our payment portal will still be operational 24 x 7 to make payments, and telephone payments can still be made during normal operating hours, 8 am to 6 pm, Monday through Friday. Questions about your bill can be asked during normal operating hours, or emailed to billing@ecpi.com at any time. IMPORTANT: Because this new support system charges per call, and we need to keep those costs down for everybody, we must charge a fee of $10 to subscribers who use this new line to call about things it is not meant to or able to handle: things like customer service issues, scheduling issues, billing questions or making payments – as mentioned above, they cannot help with billing questions, they can’t take payments, they can’t resolve customer service disputes, and they aren’t able to rearrange scheduled appointments, but we would still be charged for those calls. We have an outgoing message which will remind callers of this policy, and this system requires a button push before it transfers over to them, so we don’t expect to have too many people accidentally incurring this fee. If you are uncertain about which department you need to speak with, you can always email your question to support@ecpi.com, or call us during normal operating hours. To make a payment or discuss anything to do with payments. To make or update a payment arrangement. To ask a question or discuss a dispute about a bill you’ve received from us. To change the credit card information we have on file for you. To change the bandwidth plan you are subscribed to. To schedule an appointment for equipment to be installed or moved at your site. To ask about an upcoming appointment which has already been scheduled. To re-schedule or cancel an appointment. To address a (non technical) customer service-related issue. Are unable to connect to the Internet. Are connecting to the Internet, but not getting the level of performance you should be (after you’ve eliminated other devices using bandwidth). Are experiencing intermittent connection issues. Have a specific, technical problem with our connection I did not list. Of course, this is a transition for us as much as it is a transition for you, and we do appreciate your patience as we work through this. We would also appreciate feedback from you – how clear our messages are, how effective the technical support team is, and anything else you might think is important – of course, that feedback should either be sent via email to support@ecpi.com or you can call us during those normal operating hours, 8 am to 6 pm, Monday through Friday. Because the radio transceiver we installed at your home and your wireless router are both computers, there are situations in which one or both might lock up, crash, or refuse to communicate with the other. For that reason, it is often the case that the first thing we suggest when troubleshooting is to power-cycle one or both of these devices. When we are dealing with a “one-off” sort of problem, that usually suffices to clear it up, and your connection is back up and working normally in a few minutes. However, if you have been experiencing some sort of repeated problem, whether it happens at the same time each day, or is intermittent or unpredictable, those troubleshooting steps are not recommended, even if they seem to grant some relief. Here’s why: We do monitor your transceiver for certain important telemetry data (like signal level and errors), but the system simply takes instantaneous snapshots every so many minutes – useful to show a trend, but not detailed enough to do any deep inspection. Other statistical data, invaluable in determining the root cause of problems, are stored in the transceiver in volatile memory which is cleared whenever it is rebooted, whether by a power-cycle or a software command. Similarly, the historical data we retain on your overall bandwidth usage is captured every few minutes and averaged, so it can sometimes be helpful, but it’s not precise enough to help with troubleshooting many brief or intermittent problems. The best way for us to get a full understanding of the nature of those brief or intermittent problems is to view the data in real-time when the problem is happening, and the second-best way is for us to be able to view the transceiver’s statistical data immediately after the incident. What this means in the real world is that if you have been experiencing some sort of recurring Internet problem, whether it’s intermittent, transient, or regular, you will want to give us a call on the telephone, preferably while the failure mode is ongoing, so that we can collect enough data to ascertain root cause, and you should do this without power-cycling anything. That is the best strategy to eliminate those sorts of problems. On the other hand, if you almost never have any problems with your connection, and it’s acting up with no obvious reason, then resetting the power to the transceiver and/or router may be the quickest way to get you back online. Just remember, if you are having problems with your Internet connection, we want to help you! All the extra paths with the high capacity help to make our network more resistant to weather-related problems, by giving alternate paths for most of our towers to use when the primary one is down. Those new, faster paths combine with the new redundant fibers and redundant bandwidth providers to provide additional protection if one of our fibers or providers suffers an outage. All of this works well in conjunction with the newer Access Points to be able to bring more capacity to under-served areas, to prevent AP overloading, and (I know, this is the one you were waiting for…) to increase speeds on the plans in the heart of our service area! Most of the newer capacity we’ve deployed in the outskirts of our service area, in places like Thrall, Manor, Holland, Belton, Salado, Youngsport, Watson, and parts of Burnet and Leander have no burst mode capacity, but we compensated for that by being able to provide higher speeds at the standard price points. Those higher speed plans had not been available in Liberty Hill, some parts of Leander, Georgetown, Florence, Granger, Weir, and Walburg… until now. We are consolidating and simplifying our plans, so the price/Mbps will now be the same in all areas for modern equipment. Please contact us for details about plans and pricing. Oh yes, one other thing… We have now doubled the Referral Bonus from $15 to $30 – so when you refer potential subscribers to us, be sure to tell them to mention your name so you can receive that credit on your bill! How do I take advantage of this? Well, by the time this post has gone live, all the changes to the databases have been processed, and all radios should already be operating with the new rates. If your radio isn’t already using the new rates, a simple power-cycle to the radio should switch it over to the new plan – just unplug the power supply for the radio from the wall, wait for the light to go out, and plug it back in. Give it 5-10 minutes before trying to use it again. What if I am using that hardware, but my plan wasn’t listed above? We’ve tried to approach this sensibly – if you were on a custom plan that has now been superseded by one of the new plans which met or exceeded your current plan in each direction, we probably just switched you over to the new plan which was the best fit, as long as it was the same price per month or less. If we didn’t have a plan which met or exceeded your current plan in that way, we probably dropped the price of the plan you were on, effective with the next billing cycle – you can always check with us to find out how that went, or to make changes to the plan you are on. Either way, if you were on the affected hardware, you should be getting faster service, a lower bill, or in some cases, both! What if I’m still on the older hardware? We still have a fair number of subscribers using some of the old technology, which is not capable of running these speeds. We were able to give a tiny level of speed improvements on these older platforms at this time, but the actual hardware limitations of those older platforms impose a much stricter limit on how much bandwidth each AP can deliver. For these cases, the only way to get the higher-level plans is to upgrade the actual equipment (the subscriber module) located at the site. Generally, there is a one-time service call fee of $99 and a one-year contract renewal required to get the upgraded hardware installed at your site, although additional fees for certain lengths of pole may also be necessary in order to get above the trees in the path, and in some cases, there may be other difficulties in performing the upgrade. Please call our support team at (512)257-1077 for more details. Over four years ago, one of the first posts I put up on this blog was about the issue of Computer and Internet Security. In the last few months, we have gotten several subscribers calling us in a panic after falling prey to a particularly insidious scam. Their browsers had been tricked into displaying a screen which pretended to be from Microsoft, and it asked them to call a telephone number given in that same pop-up window. Remember: if you see any popups while using the web telling you that there’s a problem with your PC and you need to call a number or visit a website to fix it, these are scams. There are also some varieties of this scam which involve the scammers calling you. The important things to remember, regardless of who called whom are: don’t be sucked into a discussion, don’t provide any personal information, and don’t allow them access to your PC. Here is a link to the Federal Trade Commission’s site discussing these scams. This is a useful and entertaining ZDNet article about this sort of thing. Have fun, and surf safe! Windows Updates and connection performance. We have been experiencing a great deal of complaints about connection performance, only to discover the root cause of the problem is not a problem with the connection, but with the way Microsoft pushes Windows Updates. In previous versions of Windows, it was possible to set Windows to download and install updates automatically, but you could also take control and make your own decisions. 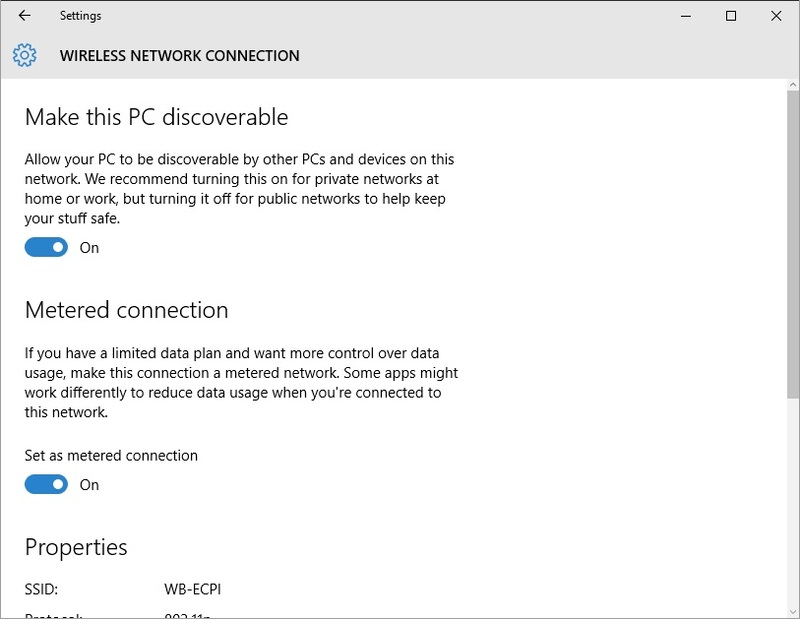 In Windows 10, it is nearly impossible to have any control over when Windows chooses to download and install updates, and their new setup for the download process hits connections with constrained bandwidth (such as anyone using our fixed wireless system) very hard. All is not lost, however. Notice I said “nearly impossible” above? 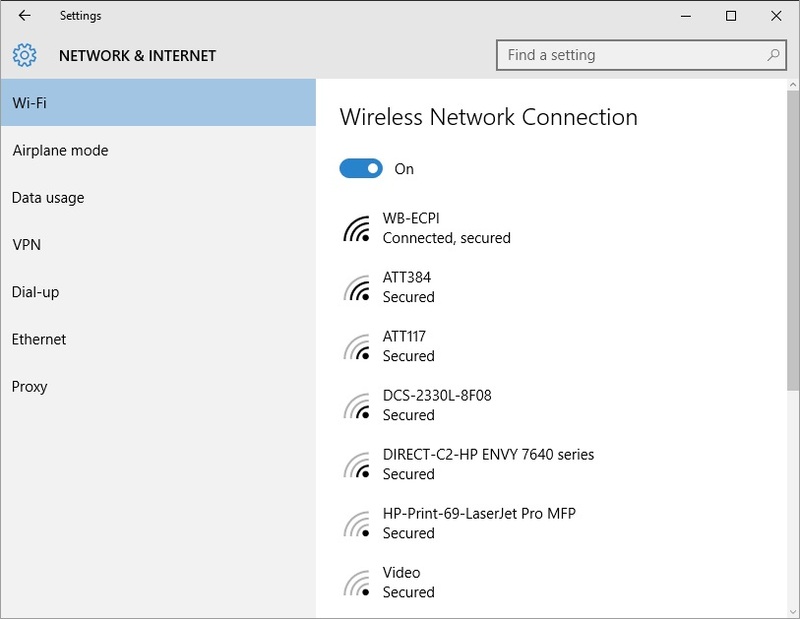 If your computer is using WiFi, not an Ethernet cable, to connect to your router, there are a series of steps you can follow which will put you back in control. Now, it is important to note that these updates may contain vital security fixes, so we STRONGLY advise everyone to use this judiciously. 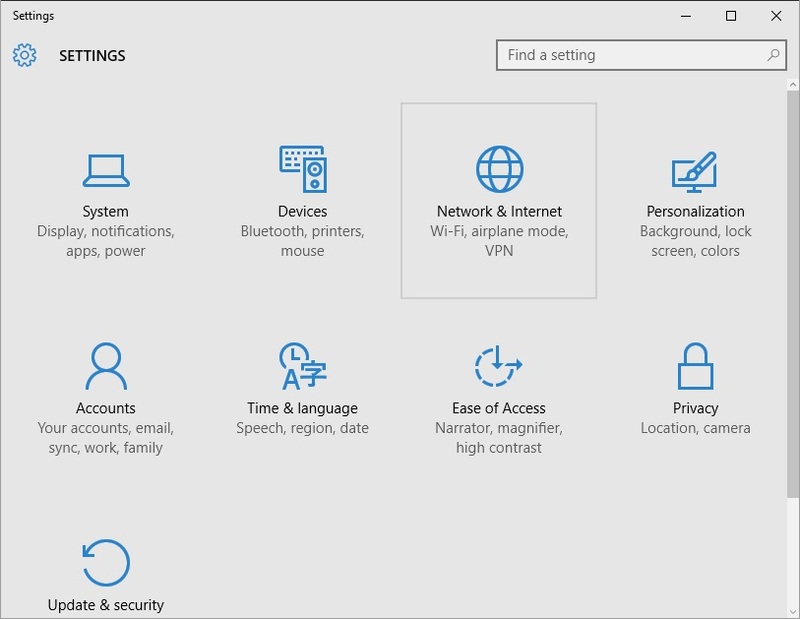 If you need to get work done right now, and Windows Update is preventing you from doing so, this may help you get your work done, but you should reverse the change as soon as you are able to let Windows take over all your connection again. Leaving your computer permanently unable to automatically download updates can create a very real security risk, unless you diligently check and tell Windows to install updates regularly. If that sounds a little scary, then I did make my point. There is a way to do this with an Ethernet cable connection, but it involves editing the Registry, which is definitely not for beginners, so I will not provide details here. 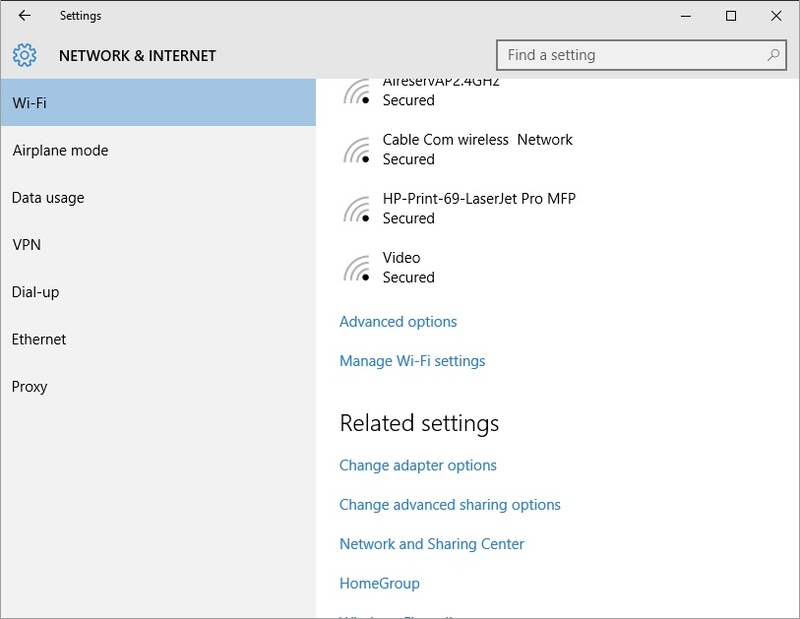 OK, you understand the risks, and you want to change your Wi-Fi settings to do this – here’s what you will be doing: Telling Windows that your Wi-Fi connection is a metered connection, so that it thinks you have data limitations, and will not automatically download updates. Again, this is not a setting you should leave this way forever. Now that you’ve done this, Windows will not download updates unless you specifically tell it to. As I said above, that can be a help for the short-term, but can be dangerous if left that way forever. OK, this may sound a bit crazy, but there is some truth to this. When the subscriber to a connection is utilizing more bandwidth than they realize (see my post “… Bandwidth Vampires“), there may not be much bandwidth left available, so any attempts to use the Internet at those times might be unreliable. If the download bandwidth is saturated, pages and images may load slowly, get interrupted, or return errors. If the upload bandwidth is saturated, the outgoing requests from the computer to the server may not even get sent out, resulting in all sorts of different errors. Unfortunately, when something appears wrong with the connection, many people think to run a SpeedTest to see how the connection is performing. If the connection is already under heavy use, the results will be much lower than expected, but that is not, in and of itself, evidence of a problem. The connection may well be working exactly as it’s supposed to, but the test results would be poor. This does not mean that every instance of an internet connection performing below expectations is due to the connection being saturated; other factors, such as reduced signal level, Ethernet errors, or other network problems, could cause a connection to provide less throughput than it should, but actual incidences of these are relatively rare. If you’re in doubt, call us, and we can check all these things on your connection. Now, if you are armed with the knowledge of how these tests work, you can make them work for you: if you find yourself under those circumstances, running and comparing test results while methodically shutting off devices one by one (or at least disabling their WiFi/Ethernet access) is a valid way of tracking down the device which is monopolizing the bandwidth. Sometimes it’s a smartphone, sometimes it’s a computer, sometimes it’s even an e-reader! The point is that no device can be ruled out by default – until you have ensured a particular device is not connected to the internet at all, you should be wary to assume it isn’t using up your bandwidth. As an Internet Service Provider, the most common complaints we receive these days are about performance. Typically, these take the form of “the Internet has been getting slower lately”, or “it says I’m connected, but I can’t go to webpages”, or even “my SpeedTest numbers are X, when they used to be Y”. As we investigate these reports (we take all of them seriously! ), we do occasionally find a problem – maybe the RF signal strength has dropped and the antenna needs to be re-aligned, maybe there are Ethernet errors which persist even when the router is bypassed, suggesting there is a physical problem with the cabling between the router and the radio. Most of the time, however, what we see is that the connection is just being saturated. When the amount of Internet traffic which is moving in one direction exceeds the total amount of bandwidth available for that direction, the packets have to be prioritized, like traffic merging onto a freeway. If the excess traffic is small or fleeting, the traffic jam rapidly clears up, and the packets can merge, but if the excess traffic is heavy and continuous, everything appears to grind to a halt, especially for the new requests, which are basically trying to merge onto a highway filled with barely moving, bumper-to-bumper traffic. As more and more devices connect to the Internet, and each device expects to use increasingly larger portions of the finite bandwidth, these traffic jams become more and more common. Conducting a Speedtest when this is occurring is not informative, as the Speedtest itself must compete for bandwidth – all Speedtests can do is measure the amount of bandwidth available at the time, and even the fastest Ferrari in the world will only show a low speedometer reading during rush hour traffic on I-35! While some of these Internet traffic jams can be caused by a bunch of different, reasonably small-scale processes, that is not usually the case. Most of these are caused by “bandwidth hogs” – processes which greedily use every bit of available bandwidth, and would happily use more if they could. Even worse are the “bandwidth vampires” – processes which are using up all your bandwidth, but are not obviously active. These may be running in the background on a computer or other device, maybe on a device which is not attended, or even one which appears to be off! These can be very hard to track down, but can have a huge impact on the Internet performance for everyone in the home. The most common culprit is streaming video. Modern streaming video systems are designed to take advantage of high-speed connections commonly found in the big cities, where most customers connect to the Internet using very fast cable modems or even faster fiber-optic connections, so there isn’t a big pressure to make the streams efficient enough to get by on limited bandwidth. Some services of this nature, such as NetFlix, do allow users to limit the amount of data per stream, but the vast majority are specifically designed to use as much data as they can, and dynamically adjust the bandwidth used to maximize picture quality, often up to full-HD streams, which can run up to 10 Mbps if the bandwidth is available. Other video services may download very large video files to watch at a later time. If you have any of these devices connected to the Internet in your home, they could be using up your bandwidth even if you don’t think they are on! Roku, Amazon Fire, Slingbox, Tivo’s Roamio, Apple TV, many DVD or Blu-Ray players, DirectTV or Dish Network boxes, most video-game consoles, phones, tablets, and many other devices are all capable of downloading video off the Internet. Such downloads may be happening even when the device does not appear to be in use. Cloud backup services – backing your data up is very important, but these programs and services must create a full backup of your system before they can take advantage of “data deduplication” methods which reduce the daily bandwidth required. This initial, full backup will try to use all of your upload bandwidth, de-prioritizing your requests to check e-mail or go to web pages, and can last for days. The simplest solution, if you wish to use a system like this, is to tell the software or service to only back data up at night, when everyone is asleep. This will cause the first phase to take longer, but it will give you the benefit of the backup without making it impossible to use the Internet while it is taking place. Large file downloads: As with streaming video, the proliferation of some very fast Internet connections serving the 80% of Americans who live in large cities has taken away the pressure felt by software developers to make efficient use of space. As a result, a large, state-of-the-art computer game may require you to download more than 10GB of data to play. Even system software and applications have experienced a large degree of code-bloat. These big software houses also use CDNs capable of pushing very large data streams to lots of users, easily enough to completely saturate your connection’s download capability while the download is in progress. These are not limited to computers – phones, tablets, and consoles may also download large files, and again, these can do so while unattended or even in sleep mode, when they appear to be off. File-sharing: While there are some legitimate uses of file-sharing applications and protocols, many people erroneously think they are anonymous, and use them to violate copyrights, moving around or sharing huge files, which not only clog your Internet connection, but could also result in costly legal proceedings. Even the completely legitimate uses of these tools can easily saturate bandwidth in both directions, preventing anyone else in the home from using the Internet. 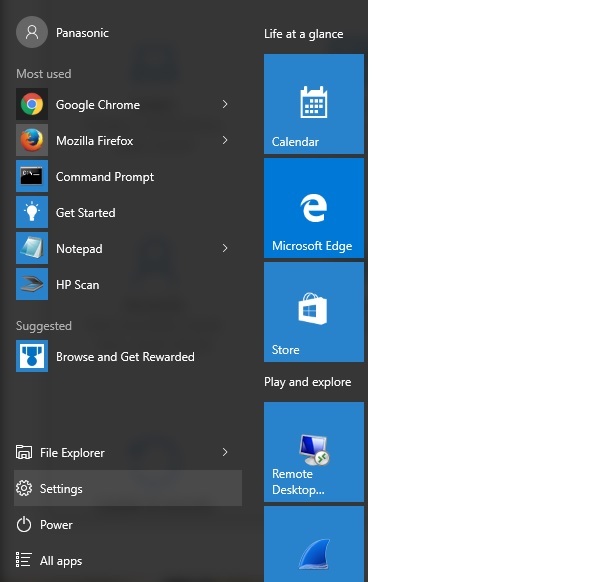 What’s worse is that these apps typically run in the background all the time, even when no one is at the computer. These are often Bandwidth Vampires. Unauthorized users: OK, this is probably rare for our subscribers, many of whom live a good distance from their nearest neighbor, and most of whom have already secured their routers, but if you are running an unsecured wireless router, anyone within range can access anything on the Internet using your connection. Luckily, the way to prevent it is a simple matter of requiring a passkey to access the router. A fairly simple WPA2-PSK key of at least 9 characters (avoiding common dictionary words) and using a mix of cases plus numbers and punctuation, is effectively un-crackable. How can we tell if this bandwidth saturation is happening or what device is responsible? Ah, that’s a tough question. Unfortunately, most routers don’t have little meters on the front, telling everyone how much data is passing through them in real-time. Some computers can be told to display the amount of Internet traffic they are utilizing, but as we’ve noted, much of the Internet activity which impacts others in the home may be from devices which aren’t computers. Our support staff has tools which can monitor most of our customers’ connections (except in certain rare circumstances), but we can’t tell which device in the home is responsible, just how much data is coming from or to which IP addresses and what protocols are involved. When it comes to finding the malefactor, a simple process of elimination can help – going to each and every device which can connect to the Internet, and shutting it down completely (note: sleep mode is not the same as off! ), then noting the impact on performance, should catch the culprit, assuming the issue isn’t from some device whose existence isn’t known. Manual control: This is pretty straightforward. For this to work, people in the home must coordinate bandwidth usage – if someone needs the Internet for work or school, others may have to wait to watch videos or play games on the internet. Just like a typical water heater wouldn’t have enough hot water for everyone in a family of five to each take a long, hot shower right after the other on a Monday morning, it may not be possible for everyone to simultaneously use the Internet as though they lived alone. It takes some getting used to, but it can work. Automatic control: Most modern routers support Quality of Service settings which can adjust the priority for certain devices’ Internet usage. Just Google “QoS settings” and your router’s model number, and you’ll see if you can program your router to assign the highest priority to certain devices or types of traffic and lower priority to others. This can be used to ensure that a particular computer or certain programs (like Skype) will always get top priority, for instance. Other steps in this strategy include configuring limits (where possible) on certain tasks. As I mentioned, NetFlix does allow users to set the Video Quality to specific settings which reduce the amount of bandwidth required. Other video services or devices may allow such control, as well. Cloud backup systems typically allow users to configure times during which they upload to the cloud, and some allow the maximum data speed of the software to be controlled, too. Even many file-sharing applications allow you to limit the number of simultaneous connections or the amount of bandwidth they are permitted to consume. More bandwidth: As I mentioned, by itself, this one won’t fix all problems. If not controlled, bandwidth hogs can use up all the extra bandwidth assigned to a connection and still want more. But, when you combine an increase with the other two strategies, you may find the extra breathing room afforded by a bandwidth increase will also increase your satisfaction with the usefulness of the Internet. I hope this gave a bit of insight into a rarely-discussed aspect of the Internet. If you think this might be happening with your connection, give us a call when the problem is occurring, and we can take a look! Check with us about upgrades! At this time, we have installed upgraded Access Points on most of our towers, so if you are wanting faster speeds, give us a call at (512)257-1077 to see if we can upgrade your equipment! For many of our customers, a simple equipment upgrade only costs a one-time service call fee of $99, which can be billed. The higher capacity of this newer equipment can result in you getting up to double the speed of your current connection at the same monthly rate you are currently paying. Don’t wait to soup up your Internet connection; call us today! We are planning on upgrading two Access Points on Tuesday, March 25. This will result in a brief period of downtime while the change is taking place, but it should improve performance, and it will not require any equipment changes at anyone’s home. The two areas affected will be the Twin Creek area of Georgetown/Walburg in the morning and the Durham Park/Thousand Oaks area of Liberty Hill in the afternoon. We will try to keep the duration of the downtime to a minimum, but there will be some periods where people on each of the affected APs will be out of service.